As the current Executive Director of The Mobile Fund and Executive Director of the mGive Foundation, Jenifer is dedicated to expanding the scope and reach of the mobile channel for social good. She brings years of leadership experience in the mobile industry to the position. Previously, Jenifer was a founder and General Counsel for 9 Squared, Inc., a mobile content and services company subsequently acquired by the Zed Group. She left Zed in 2007 and started building the mobile channel for social and charitable effort, later forming The mGive Foundation. As the current Director of Compliance of The Mobile Fund and former DC of The mGive Foundation, Lori works with hundreds of nonprofit organizations to ensure and certify their compliance with mobile industry standards. She guides nonprofits through the application and approval process and serves as their liaison with technology vendors. Lori’s background in mobile donations and experience in the mobile giving space spans over a decade. She is dedicated to customer service, with several awards to her credit. 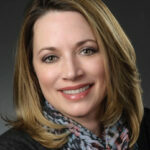 Leading Marketing and Business Development, Kristy is an industry veteran with nearly 20 years in mobile ventures. 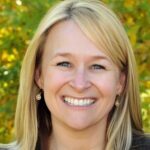 She is also an Adjunct Professor of Marketing at Montana State University and is passionate about connecting charitable organizations with their supporters through the mobile channel. Additionally, Kristy is the founder of a consultancy that partners with a diverse group of clients to navigate business transformations and digital expansion. Previously, Kristy was a digital marketing executive in the Sports Media industry for ESPN and USA TODAY Sports Media Group. Prior to that, she worked for US WEST (Qwest) where she got her start in the wireless business. Kristy feels fortunate to have been involved with the creation of innovative mobile experiences for some of the world’s most beloved brands and looks forward to bringing that innovation to the nonprofit community. Matt leads technical operations for The Mobile Fund and has been with The mGive Foundation since 2007. Matt continues his commitment to serving nonprofit organizations by maintaining positive relationships with carriers and other technology partners.